We look forward to seeing you at the 72nd Annual Commencement! Please arrive early. Commencement starts promptly at 11:00 a.m. There are no tickets required for admission, nor any limitation on number of guests. Mylar balloons are not permitted. We are a tobacco-free campus. Parking on campus will be directed by our Campus Safety Officers, Sodexo Facilities and volunteers. Your cooperation is requested in using designated lots. Campus Safety Officers will direct you upon entry to campus. 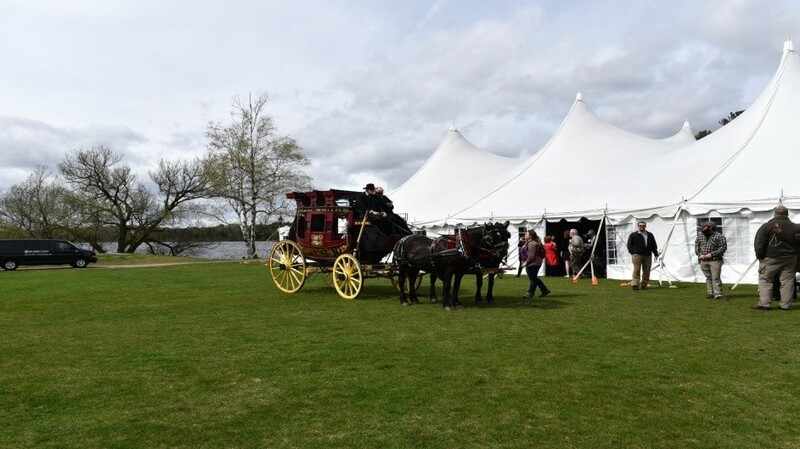 Transportation will be provided from the parking areas to the site of the ceremony should you need assistance. 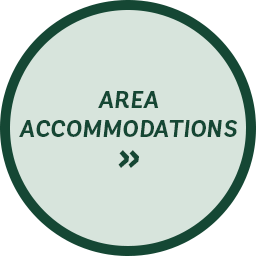 If anyone in your party needs assistance with special seating because of physical limitations, please contact Bianca Bettger (bbettger@paulsmiths.edu, 518.327.6223) at least two weeks in advance (by April 26, or earlier). 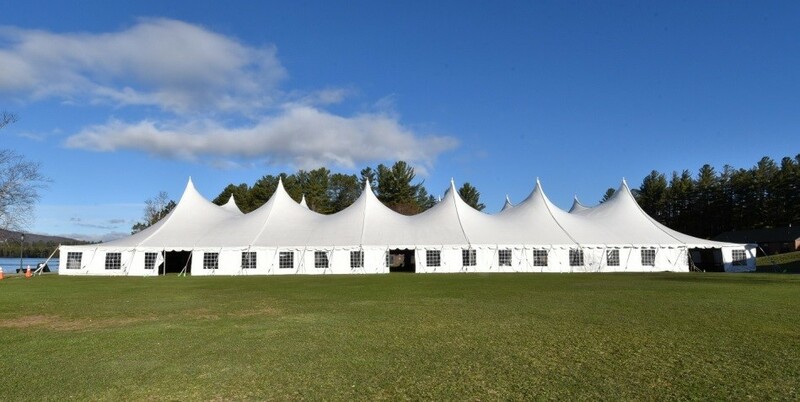 We would suggest that foot apparel be conservative considering that the ceremony will be held on the Great Lawn, under a tent, making footing uneven. Should we have unusually cool temperatures please dress accordingly! Joan Weill Student Center (ground floor and first floor), and temporary porta-potties near the tents. 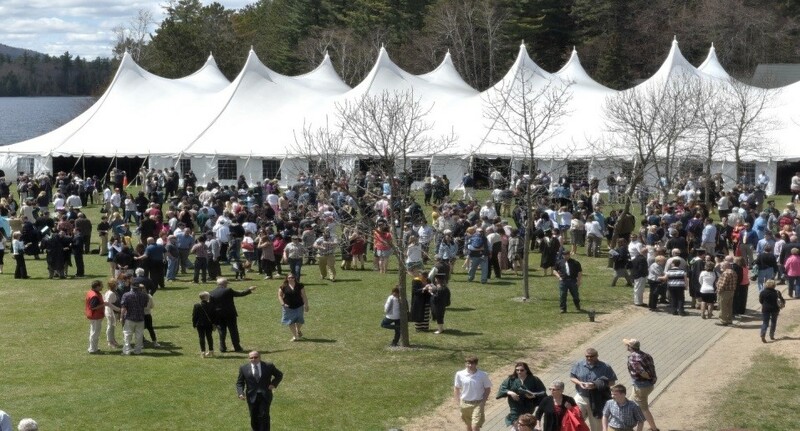 A post-graduation Alumni Reception will be held immediately following the ceremony in the smaller tents next to the commencement tent. Thank you for completing the on-line survey! If you are a December or August 2018 graduate, or are off-campus for externship/work experience, please contact Bianca Bettger (bbettger@paulsmiths.edu, 518.327.6223) to verify your intention to participate in the May Commencement. 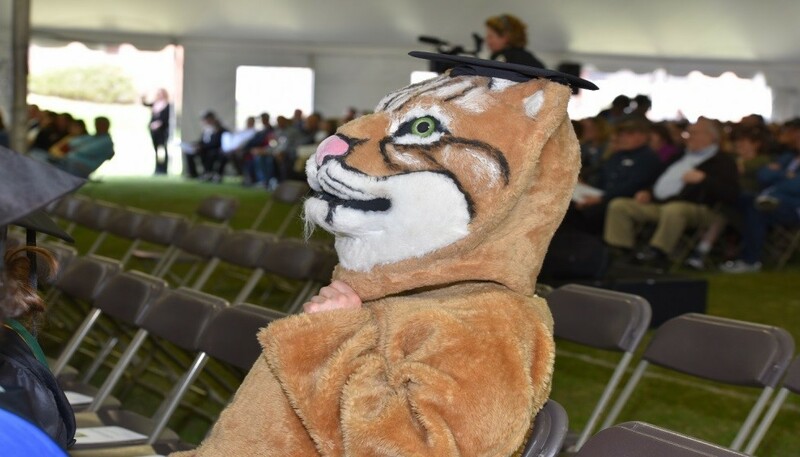 To participate in the commencement ceremony, all graduates must wear the appropriate regalia. Those receiving Baccalaureate degrees will wear black gowns and those receiving Associate degrees will wear green gowns. There is no charge for caps and gowns. Please pick up your regalia in the Packbaseket Bookstore: Wednesday, April 17 to Thursday, April 18. Honor chords and program hoods will be distributed in Pickett Hall prior to the ceremony on Saturday, May 11. Cap, gown, tassel and hood. If you do not have all four items, please contact Bianca Bettger (bbettger@paulsmiths.edu, 518.327.6223) in the Provost’s Office immediately. If you are graduating and did not complete the survey and if you have not been contacted for a cap and gown please contact Bianca Bettger (bbettger@paulsmiths.edu, 518.327.6223). Graduating students are reminded to resolve all financial obligations with the Student Accounts Office prior to graduation. While all certified graduates may participate in the ceremony, some may not receive their diplomas because of unpaid balances. Please check with the Student Accounts Office (Phelps Smith Administration Building, first floor) to ascertain the status of your account. Hours are 9:00 a.m. – 4:00 p.m., Monday through Friday. Information about the class gift can be found here: PSC Class Gift. If you are interested in purchasing announcements, you can custom design your own announcements through the Balfour Company. Once you are in the Balfour website, use the search box to type in Paul Smith’s College. From there, you will see a design button, which will direct you to the Paul Smith’s College information. Balfour quotes 14 business days for turn around on printed announcements. If you are interested in purchasing a class ring, you can go directly to Josten’s. During Commencement Grad Images will be on campus photographing each graduate and the President of the College as s/he receives a diploma case on stage. The company will contact you by email with details prior to the ceremony. Graduates will receive a proof at a later date for possible purchase. There is no obligation to purchase photographs, but feel free to utilize this service. The college does NOT pay for announcements, class rings, or photography prints. We suggest that foot apparel be conservative, as the ceremony will be held lakeside, under the tent (i.e., flats for women and closed-toed shoes for men). The program designations will be posted on the walls; name cards, and honor cords will be distributed at that time by selected faculty and staff members. Should you have any questions, please contact the Provost’s Office, Bianca Bettger (bbettger@paulsmiths.edu, 518.327.6223). Since the final grades are not due until Monday, May 13, diplomas will not be distributed at the ceremony. Honor designations for May are computed based upon the Fall 2018 semester grades. During commencement you will receive a diploma case when you walk across the stage. The Office of the Registrar will provide the Provost’s Office with the official graduation list and after a final financial audit of your account your diploma will be sent to you at the address you submitted on the Graduate’s survey. Please notify Bianca Bettger (bbettger@paulsmiths.edu, 518.327.6223) if you have a recent change of address. We ask your assistance in determining, with your son or daughter, whether any financial obligations are still outstanding prior to graduation, and for him/her to schedule a visit with the Student Accounts Office to clear those pending transactions. Paul Smith’s College is anxious to cooperate in whatever manner necessary to assist you in these matters, and suggests that foresight will best serve the graduation process. The Paul Smith’s Pack Basket Bookstore will be open from 9:00 a.m. to 3:00 p.m. on Saturday, May 11, with a special graduation sale for families. Please park in designated lots. Campus Safety will direct you once you enter campus. Faculty are invited to process with the graduates. You must wear appropriate regalia. Please contact Bianca Bettger (bbettger@paulsmiths.edu, 518.327.6223) should you need to borrow regalia. Faculty: Please arrive by 10 a.m. and proceed to Pickett Hall. You will line up on the 2nd floor of Pickett (by seniority) and you will follow the graduates to your seats. You will be seated behind the graduates. Selected faculty members have volunteered to assist with the processional. All other faculty and staff members are invited to sit behind the Faculty in the center section. Staff are not required to wear regalia. The seats will be reserved and labeled. Questions may be addressed to Bianca Bettger (bbettger@paulsmiths.edu, 518.327.6223). I-87 (NYS Thruway) north to Albany, exit 24. At Albany, I-87 (NYS Thruway) becomes I-87 (Northway). 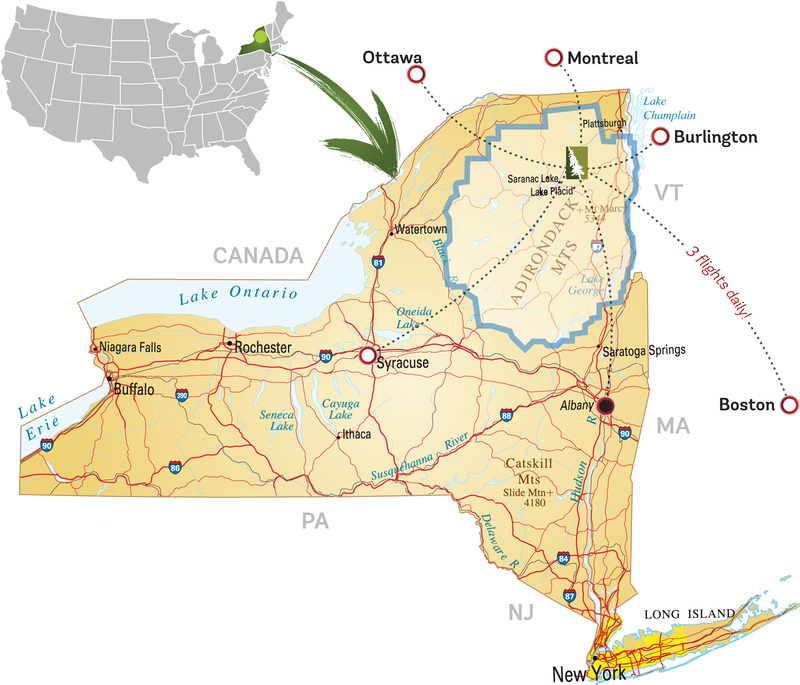 I-87 (Northway) to exit 30 (104 miles). Left off exit on Rt. 9/73. Bear left on Rt. 73 (2 miles) to Rt. 86 in Lake Placid (27 miles). Rt. 86 west to Saranac Lake (9 miles). Continue on Rt. 86 (12 miles) to Paul Smith’s College. I-90 east to Syracuse, exit 36. I-81 north to Watertown, exit 48 (70 miles). Rt. 342 to Rt. 3 (6 miles). Rt. 3 east to Deferiet (9 miles). Rt. 3A to Rt. 3 east (4 miles). Rt. 3 east to Tupper Lake (78 miles). In Tupper Lake, take Rt. 3/30 east (6 miles). Left on Rt. 30 north to Paul Smith’s College (21 miles). I-89 north from Burlington to exit 17 (10 miles). Follow signs for Grand Isle Ferry (13 miles). Grand Isle Ferry to Plattsburgh, NY. (Call 518-561-2055 for ferry information.) Off ferry, straight on Rt. 314 to I-87 (4 miles). I-87 south to exit 38 (2 miles). Rt. 374 to Rt. 3 exit (8 miles). Rt. 3 to Bloomingdale (35 miles). Right at Norman’s General Store to Rt. 86 (4 miles), turn right at stop sign to Paul Smith’s College (5 miles). Prefer to fly? We’re just 10 minutes from SLK airport where Cape Air provides three flights daily to Boston.